How much do you actually know about the streets of New York, even if you walk them every day? Do you really know who's buried in Grant's Tomb? Is it true that they tried to anchor Zeppelins at the top of the Empire State Building? 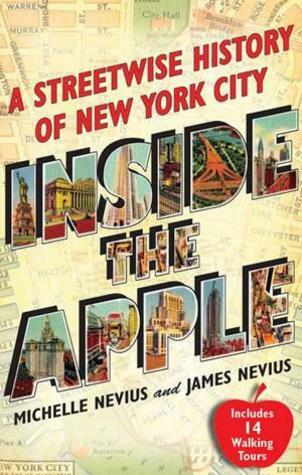 Now in it's ninth printing Inside the Apple (Free Press/Simon & Schuster) is a lively, comprehensive history of New York that brings to life the city's fascinating and dramatic past for locals, tourists, and anyone eager to know the greatest city in the world. The first narrative history of New York City to offer practical walking tour know-how, Inside the Apple is multi-purpose and therefore unlike any other book available today. First and foremost, it's a fast-paced but thorough history that unfolds in 182 bite-sized chapters. It can be read straight through as a continuous history, or used as a miscellany, since each chapter focuses on a discrete event, person, or place of historical interest. But it can also be used as a historical walking tour guide thanks to 14 self-guided tours supplemented by maps and step-by-step directions.